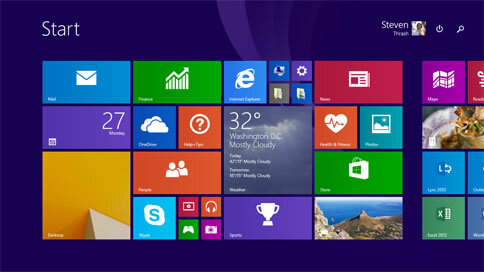 Microsoft has finally took the wraps off Windows 8.1 update due next week to the general public. This update includes some new features and functionality and improves lot of features. Microsoft is improving the user experience on desktops and laptops with this update, the user experience of devices that are not touch enabled is the main focus for this update. This is the major update after the Windows 8.1 and includes customer driven changes like he return of the start button, more personalization options, boot to desktop and more. The Windows 8.1 Update will be available through Windows store starting from April 8th as a free download to users of Windows 8.1, those who have not updated to Windows 8.1 from Windows 8 can do the same now to get this update. This update improves the user experience of keyboard and mouse users according to Microsoft. On the start screen top right corner you will find power and search buttons prominently, earlier these two features are buried in the hot corners. The latest change makes it easy for users to do these basic tasks. The update also brings the most wanted feature boot to desktop to selected devices. The setting allows users to boot directly to desktop instead of going to the start screen, this is one of the most requested feature of many Windows 8 users. Now you can pin your favorite desktop apps to the taskbar along with the apps from Windows store, that means you can launch your favorite Windows store app from desktop instead of going to start screen. You can also pin your favorite or most used websites to the taskbar. The taskbar is also accessible from anywhere if you are using mouse, just bring your mouse to he bottom of the screen to see the taskbar. If you are using a Windows store app you can move your mouse to the top of the screen to get the close and minimize buttons for the app. 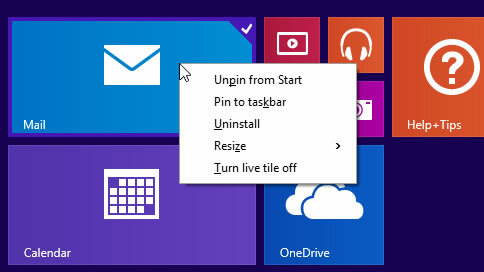 On the start screen you can right-click on any tile and get the context menu like the classic right-click menu, he context menu allows unpin, pin to taskbar, uninstall, resize and turning off the live tile. Another change is that after installing the update you will see Windows Store pinned to your taskbar for quick access to the Windows store for discovering new apps. 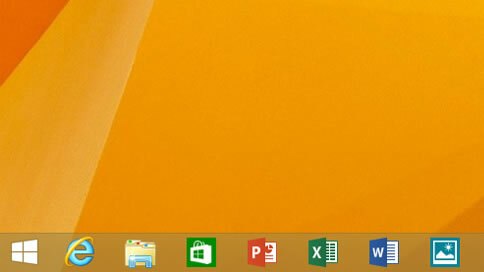 Of course you can unpin the store app if your taskbar is getting cluttered. After installing new apps from the store you will see a notification on the start screen pointing how many apps installed and to apps view. Internet Explorer 11 also got updated with the Windows 8.1 update, it can now auto detect the input type, that means it can detect whether you are using touch enabled PC or keyboard, mouse desktop. With this update you can control when IE remains on-screen or hides away for full-screen browsing. You might be wondering what happened to the start menu, the good news is that start menu is coming but not in this update, it will come with a later update. Windows 8.1 update is now available to the MSDN subscribers as of now, more general availability will come on April 8th as part of the Tuesday update. You will receive the update automatically, the update will be available for both Windows 8.1 and Windows RT 8.1 users.